Radmila joined the firm in October 2013 and became a Partner in 2014. Radmila attended University College London (UCL), graduating in 1988, and then went on to be called to the Bar in 1989. 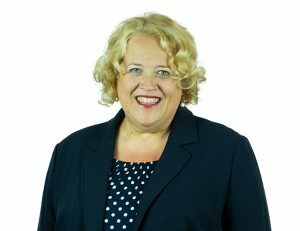 She completed her pupillage and practiced in London across a broad spectrum of work from crime, insolvency, employment and civil litigation, before transferring and becoming a solicitor in 1997. Since then, Radmila has worked predominately in Family Law. She has dealt with all aspects of relationship breakdowns, involving married and unmarried couples, and helped them to resolve issues regarding their finances. This has included their properties, both here and abroad, pensions and businesses. She also has experience in advising and preparing pre-marital agreements, for those intending to marry, and cohabitation agreements for those couples who intend to live together. She is particularly skilled in helping parents and extended family members in disputes concerning arrangements for children, for which she has been recognised by being an Accredited Specialist with Resolution. She has completed several professional development courses in Family law to keep abreast of changes and developments, and has delivered training and talks on various aspects of Family law. She has a particular interest in helping those experiencing or fearing domestic violence and as such is a Trustee of Living Without Abuse (LWA). Radmila is a member of Resolution and since July 2001 she has been a Resolution Accredited Specialist. Radmila’s family came from the former Yugoslavia and she speaks Serbian, Croatian and Bosnian.